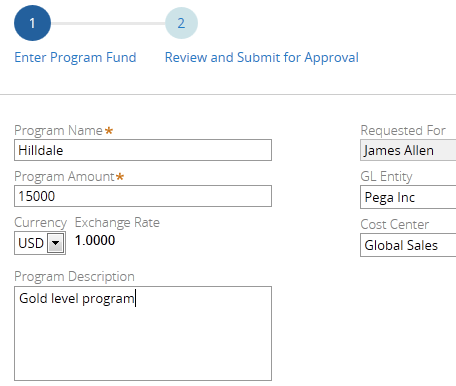 Service level (sometimes called SLA) functionality in Pega 7 lets you employ the most commonly used actions, such as notifications or advance flows, without having to configure activities. The service level form lets you create a series of actions simply by adding them to a list without the need for extra configuration. You can also apply When rules to conditionalize the actions. Additionally, Pega 7 provides two flow actions that allow users to change a service level, or replace an existing service level, with one that is purpose-built for a specific situation. 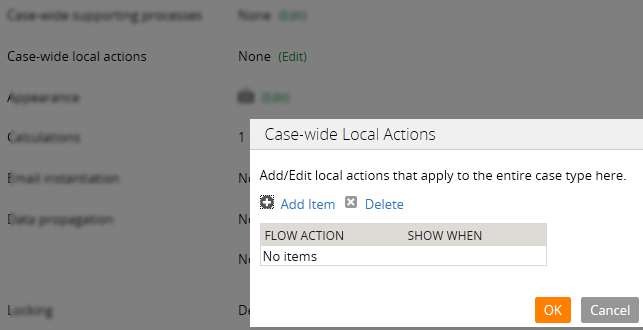 From the Case Designer, you can enable these service level flow actions at the case level so users from the user portal dashboard can update service levels at any time during case processing. 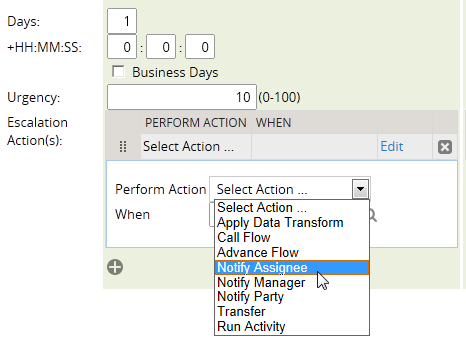 These flow actions can be configured at the stage level, flow level or even the assignment level. 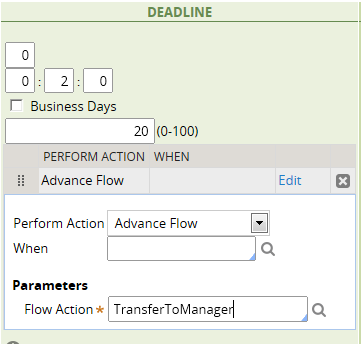 This article describes how to configure actions in a service level record and implement a flow action that lets users apply the record during case processing. Your application processes program fund cases for projects that several purchase requests can be associated with. This allows for organizing related purchase requests under one pre-authorized budget. As currently configured, program fund case assignments have a goal of 2 days, a deadline of 3 days, and a default urgency of 10. 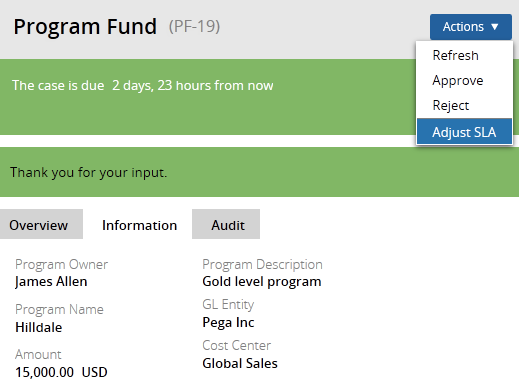 Management has created two program fund levels (silver and gold) based on the program amount. The service level goal and deadline dates are pulled in by one day and their urgencies escalate above the default value. 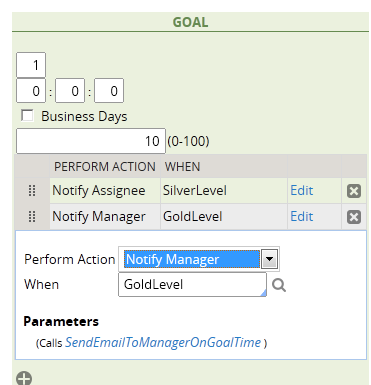 When the goal date is reached, a silver program notifies the assignee by email; a gold program notifies the manager. The system determines which programs are silver or gold using a when condition. When the deadline date is reached, the system enables a local action that transfers the case to the user's manager. You must design a service level record to meet these escalation requirements and define a case-wide local action so users can apply the record at any point in the case's process. 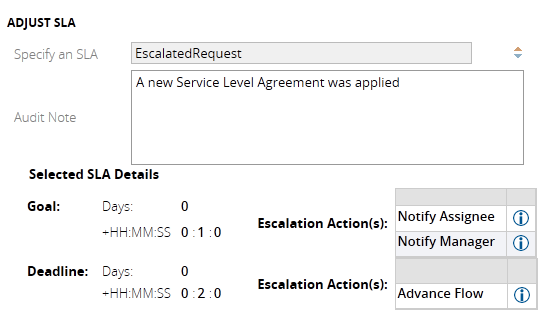 Create a service level record named Escalated Request. In the Escalation Actions (s) section, double-click the Select Action row to display the edit fields. 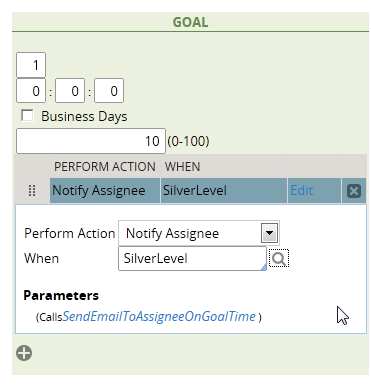 Select Notify Assignee in the Perform Action field. Select SilverLevel in the When field. In the Escalation Action(s) section, open the first row for editing. Save the service level record. Select the Program Fund case type in the Cases Explorer. 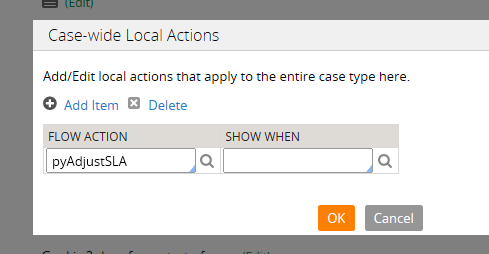 Open the Details tab and select the Case-wide local actionsEdit link. The Case-wide Local Actions dialog appears. Click Add Item to add a row and select pyAdjustSLA (Adjust SLA) in the Flow Action field. Click OK to save your update and close the dialog. For testing purposes, you can shorten the goal and deadline dates to observe the expected behavior. After the case is created, open the Information tab on the Review harness to display the amount and description. Select Escalated Request in the Specify an SLA field. The system populates the form with the goal, deadline, and action values you entered in the service level form. Click the Submit button to apply the Escalated Request service level record. Approve the case. The assignment goal is adjusted using the revised 1 day value. Open the Audit tab on the user form. Note that the system started the Notify Manager action and created an email. When the deadline is reached, the assignment is reassigned to the user's manager (Sales Manager). 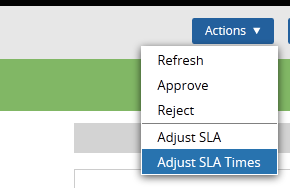 You can use the Adjust SLA Times flow action to update the dates on the current service level record. 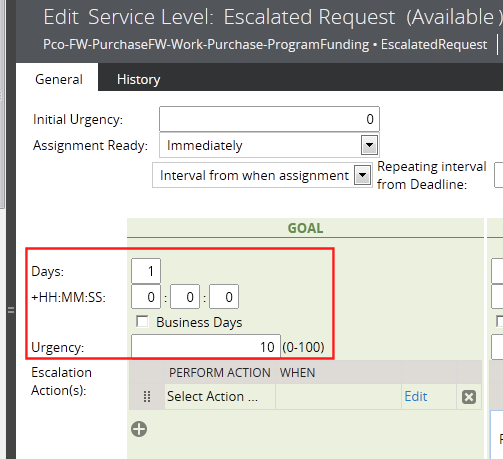 In this example, you will use the flow action to reset the goal and deadline dates you set in the Escalated Request service level record. The flow action does not update the underlying service level record. Open the Program Fund Details tab. Open the Case-wide Local Actions dialog as described previously. Add the pyAdjustSLATimes (Adjust SLA Times) flow action. 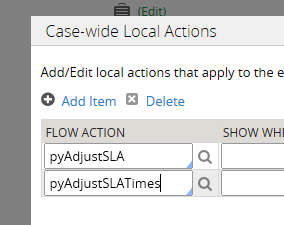 Create a case and invoke the Adjust SLA Times flow action. Submit the flow action. 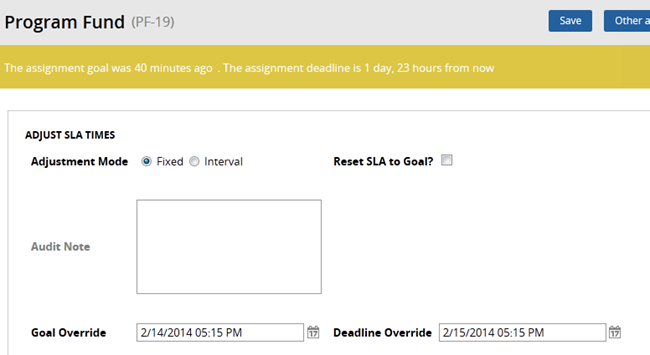 The assignment goal date is reset as defined in the Goal Override field.